For exceptional storage and organization, the Seneca Creek Bedroom Armoire boasts a total of twelve spacious drawers affixed to full extension slides. 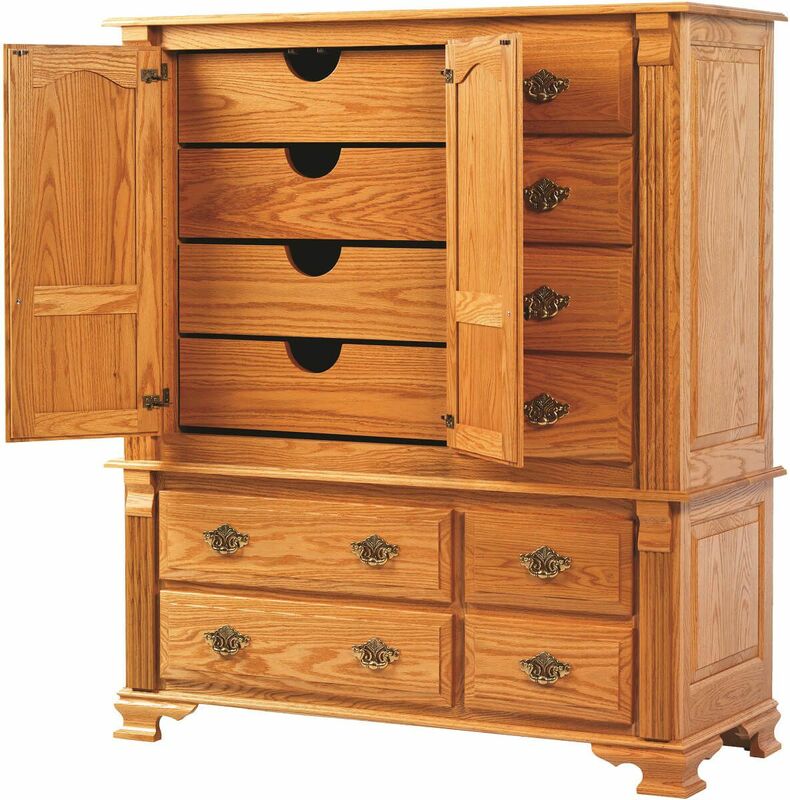 Totally an impressive twelve drawers in total, your Seneca Creek Grande Chest maximizes bedroom storage. 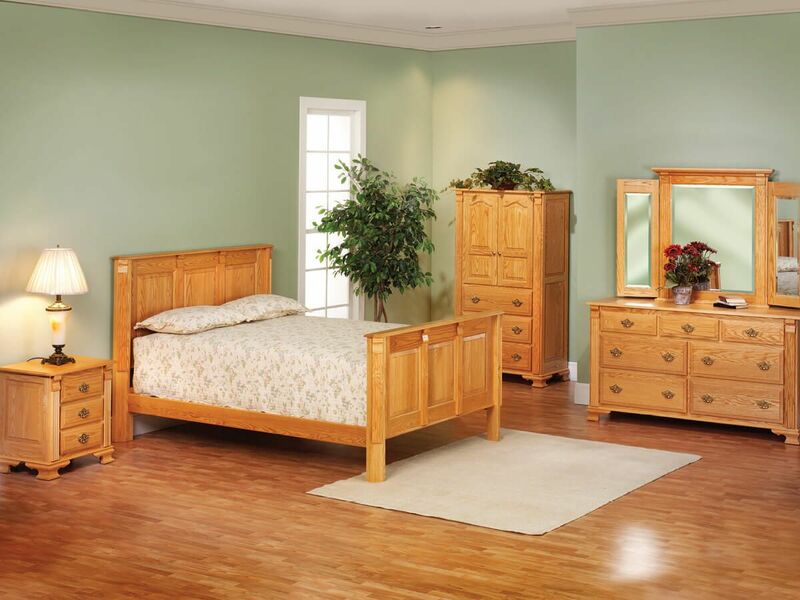 This storage armoire features the Traditional characteristics of the Seneca Creek Bedroom Furniture Set. The cathedral arched, raised panel doors of the storage cabinet open to reveal four additional wooden drawers, free of paneled fronts and hardware. 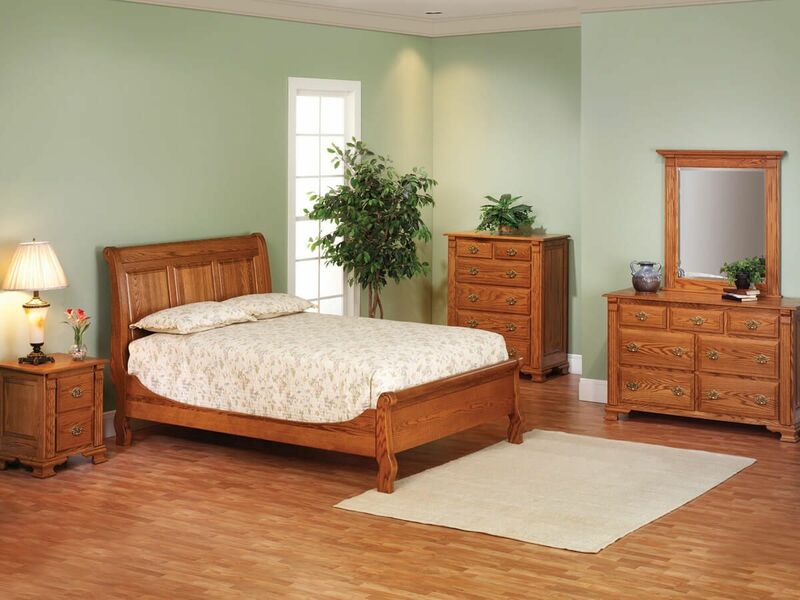 Your chest sits atop formal bracket feet and sides are offer finished raised panels. Order your Seneca Creek Storage Armoire by selecting wood and stain from the options menu provided. 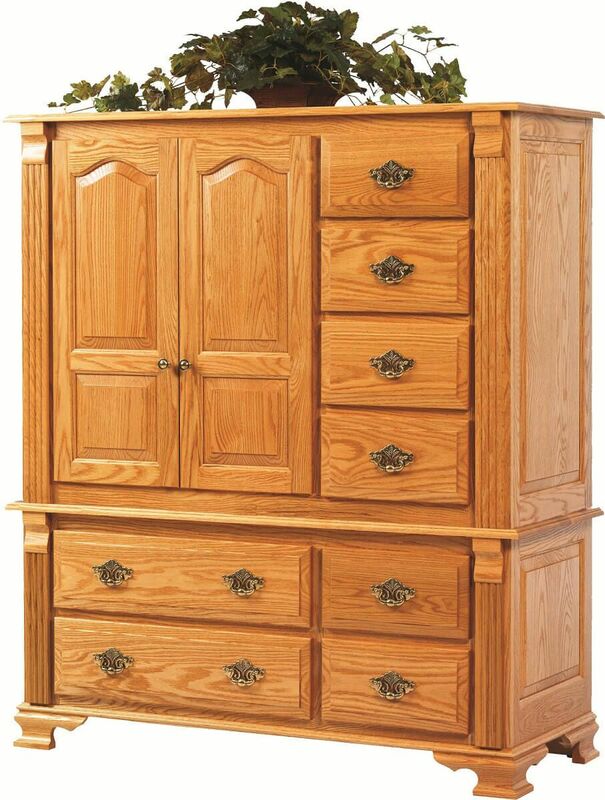 To obtain the pictured look on your own Amish storage cabinet, choose Oak with our Sanibel finish.